Beans are a great way to get an early protein hit, and adding an egg and peppers to make a scramble adds some fat to the meal. When we think of foods that are good for dieting it’s pretty easy to name a range of foods we know will be healthy to eat, right? 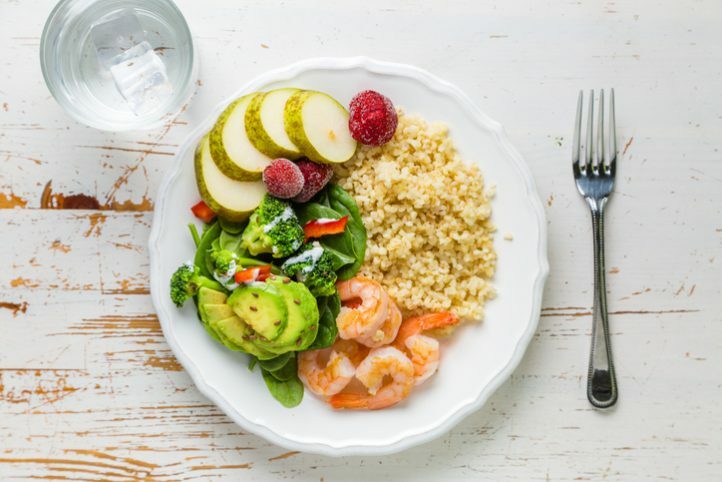 We all know that conservative portions of vegetables, fruits, whole grains and legumes, some nuts and seeds, and a little egg, meat and dairy, will help us reach our weight loss goals. But did you ever think that how you combine your foods could make a difference to your fat loss results? Eating certain foods in combination with each other can effectively strengthen the action of their component nutrients, making them ‘work’ better. 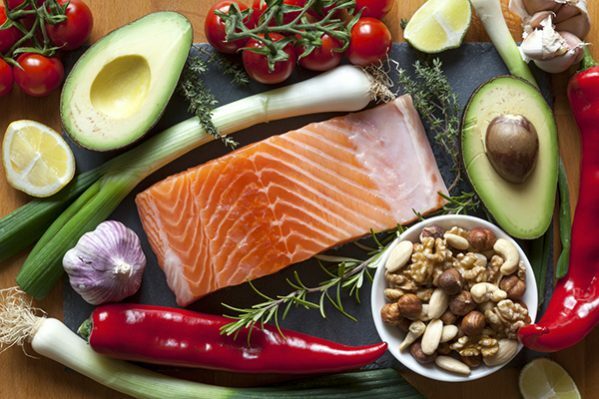 Salmon is a wonderful source of omega-3 fats, which is an essential ingredient for all aspects of health, including normal brain function and weight loss. The salmon is also high in protein – good for keeping you feeling fuller for longer. Adding a sweet potato to your salmon dinner adds some energy-rich carbohydrates with a great taste and texture, plus some fibre too. Green veggies like spinach, broccoli and kale are low in calories but high in many vitally important nutrients. The problem is that they leave you hungry if all you’re having is a salad. Enter another green: avocado. 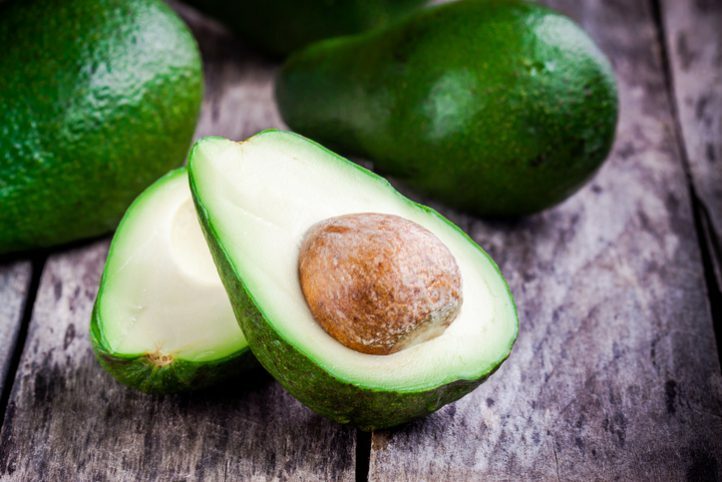 Avocado is full of monounsaturated (good) fat, so it’s satisfying and filling. Plus, avo helps your body absorb the nutrients from the greens in the salad. Eating protein for breakfast is one of the great keys to making weight loss easier. When you eat protein early, you feel fuller before lunch and dinner, therefore you eat less and avoid cravings throughout the day. Beans are a great way to get an early protein hit, and adding an egg and peppers to make a scramble adds some fat to the meal, increasing your feeling of satiation. We all know that oats are a great high-carb breakfast for all-day energy and fat-burning fibre. So why not make it even better by adding some nuts? 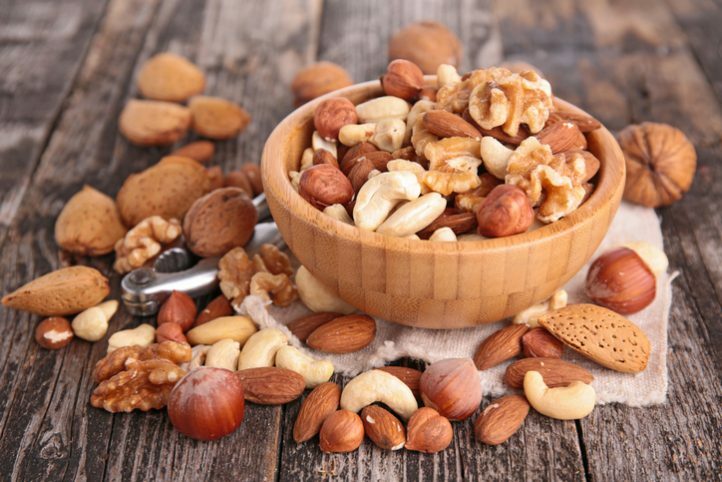 Walnuts, almonds, macadamias or cashews are recommended. The nuts bump up the fibre and energy content of the oats, while also adding some healthy plant protein and fat to the mix. Sounds like a winner! Good quality dark chocolate (70% or higher cocoa level) is a fantastic way to give yourself a sweet treat while remaining true to your diet plans. The fat is high, but it only has around 7g of sugar per 30g of chocolate, so as long as you only eat a block or two you’ll be fine for sugar calories. Adding some almonds (a small handful) to the mix adds plant fibre, protein and fat which will fill you up and keep your blood sugar stable.